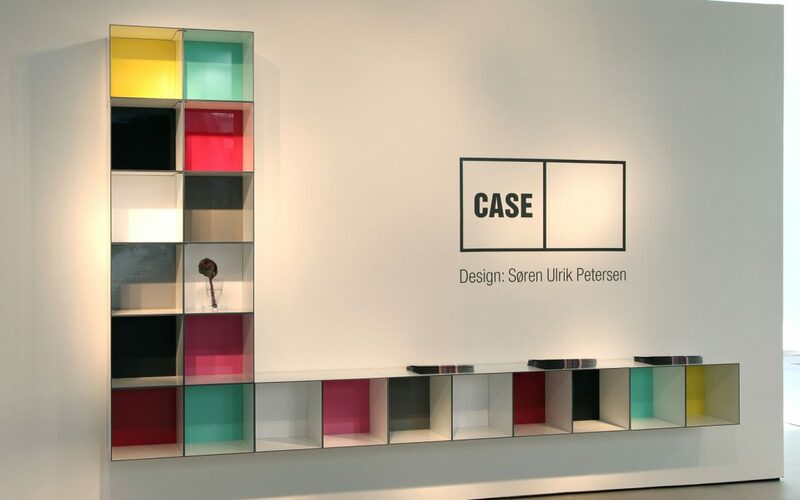 OneCase was designed by Søren Ulrik Petersen in 2010. 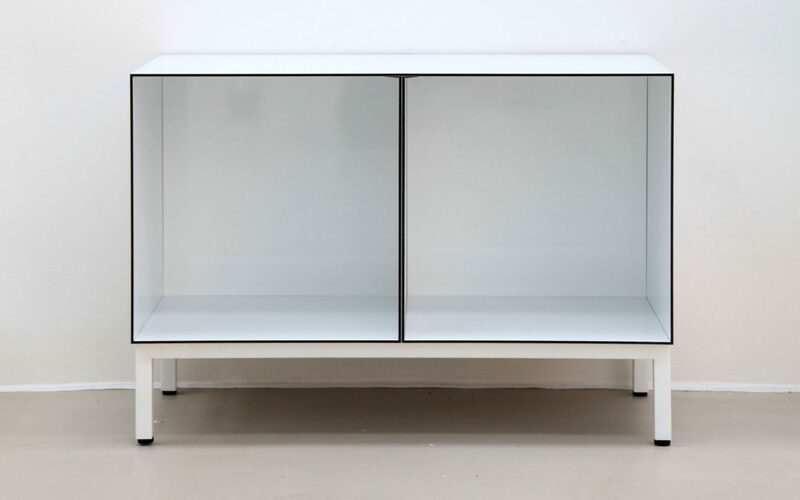 OneCase is not a system – it is simply a single unit intended for storing, decoration, exhibition and fun. The case is based and constructed from the simple idea of cutting, folding and assem- bling a box. 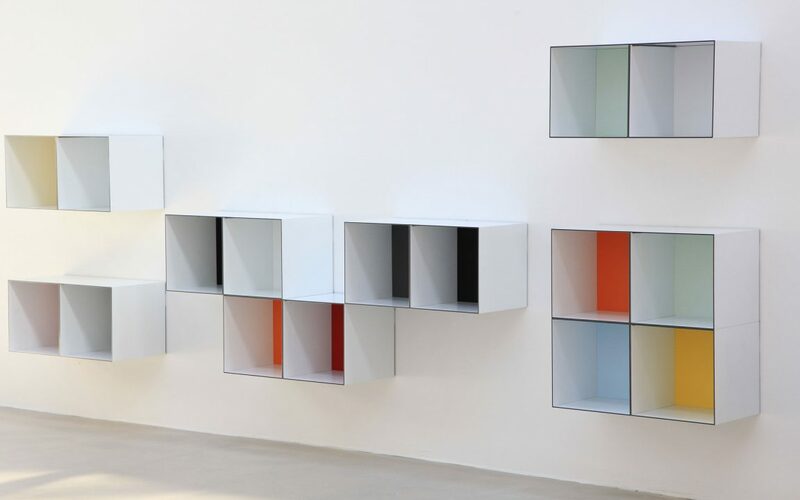 OneCase has a light expression, obtained by the white lacquered 4 mm Alu-Dibond board processed in a modern CNC machine. The unique material composition of OneCase makes it incredibly strong and ideal for the paper thin design. 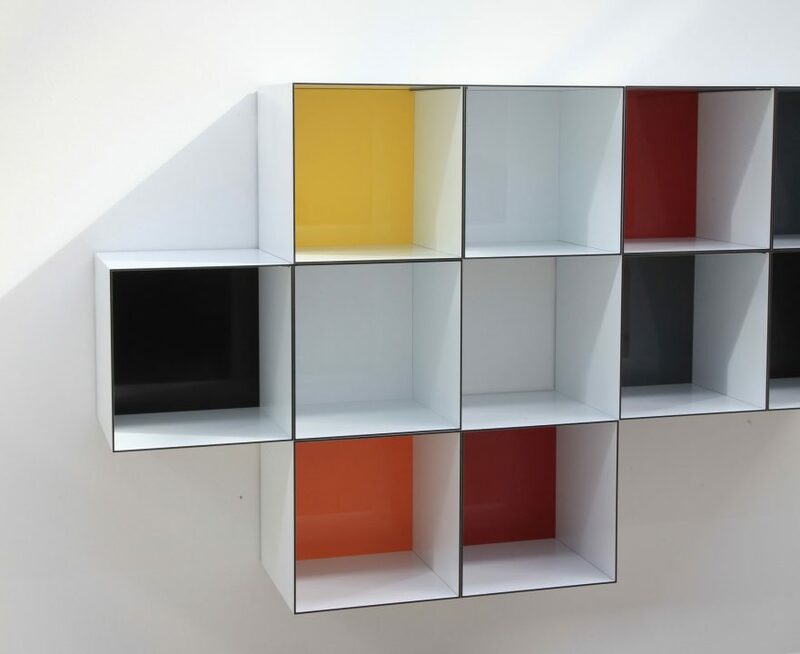 The standard back panel is black, however, easily changeable and comes in a variety of strong high gloss colours. Customise OneCase by changing the colours according to your mood, a special occasion or the season and highlight your most important belongings against a fun and colourful background. There is only one module in the series, but 8 different colour options. OneCase is intended for wall mounting or for putting on a plinth. Materials: White Alu-Dibond incl. wall mounting. 3 mm high gloss melamine in blue/green, white/yellow, red/orange or black/grey. Stainless steel or painted white.